Texas’ strict voter identification requirements kept many would-be voters in a Latino-majority congressional district from going to the polls last November — including many who had proper IDs — a new survey shows. Former U.S. Rep. Pete Gallego (left) was ousted by Republican Will Hurd, right, in the 2014 CD-23 contest. Editor's note: This story has been updated with additional comment. Texas’ strict voter identification requirements kept many would-be voters in a Hispanic-majority congressional district from going to the polls last November — including many who had proper IDs — a new survey shows. And the state's voter ID law – coupled with lackluster voter education efforts – might have shaped the outcome of a congressional race, the research suggests. Released on Thursday, the 50th anniversary of the federal Voting Rights Act, the joint Rice University and University of Houston study found that 13 percent of those registered in the 23rd Congressional District and did not vote stayed home, at least partly because they thought they lacked proper ID under a state law considered the strictest in the nation. And nearly 6 percent did not vote primarily because of the requirements. But most of those discouraged Texans had the proper documents to vote, says the study, which came one day after a federal appeals court ruled that the four-year-old Texas law has a “discriminatory effect” on Hispanics and African-Americans. The researchers surveyed 400 people who registered but did not vote in the 29-county district, which stretches from San Antonio to El Paso and along a large slice of the Texas-Mexico border. The study found that less than 3 percent lacked proper identification during November's election. "The voter ID law depressed turnout in the 2014 election, but it did so primarily through confusion, not through actually keeping people without IDs from voting,” said Mark P. Jones, a professor at Rice’s Baker Institute for Public Policy and an author of the study. The law requires most citizens (some, like people with disabilities, can be exempt) to show one of a handful of forms of allowable photo identification before their election ballots can be counted. Acceptable forms include a state driver's license or ID card that is not more than 60 days expired at the time of voting, a concealed handgun license, a U.S. passport, a military ID card or a U.S citizenship certificate with a photo. The acceptable list is shorter than any other state’s. The new study suggests that the state’s effort to educate voters about the requirement – which included postings on the secretary of state’s website – fell flat. The secretary of state's office took issue with that description, saying it spent $2 million on voter education efforts statewide on radio, television and print advertising among other outreach efforts. But Democrats and other outspoken opponents of the law may have also contributed to the problem, seeing their criticism boomerang into confusion for would-be voters, Jones added. “If the message they received was that there’s this new strict voter ID law, but they didn’t receive the second part — of what the several forms of ID are — that may have caused part of the problem,” he said. Researchers focused on CD-23 largely because of its demographics and the neck-in-neck congressional race it held. CD-23 is seen as the state's only U.S. House district that's competitive between Republicans and Democrats. Roughly two-thirds of the voting age population is Hispanic. 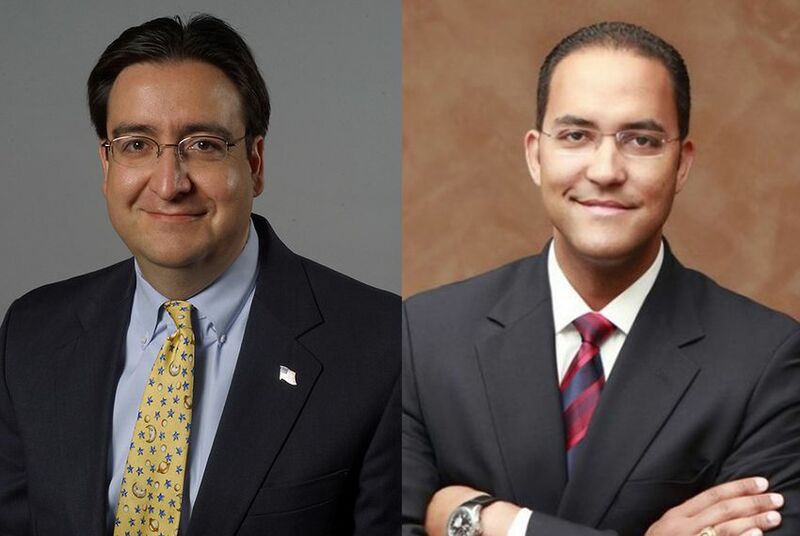 Just 118,000 voters cast ballots in the race that saw U.S. Rep. Will Hurd, R-San Antonio, edge incumbent Pete Gallego, a Democrat from Alpine. The difference was about 2,400 votes. Of those who said the state ID law discouraged them from voting, four to five times more said they would have voted for Gallego. “While the results of this survey do not allow us to conclude that Gallego would have been re-elected in the absence of the voter photo ID law, they do indicate that the law did have a disproportionate impact on his supporters, and therefore may have possibly cost him the election,” the study said. Gallego, now bidding to retake Hurd's seat, found vindication in the study. "It's sad and ironic to learn — on the 50th anniversary of the Voting Rights Act — that the result of November's election was determined not by voters but by lawmakers who deliberately created obstacles that scared off and confused potential voters," said Anthony Gutierrez, a Gallego spokesman. Hurd did not immediately respond to a request for comment. On Wednesday, the U.S. 5th Circuit Court of Appeals ruled that the Texas voter ID law has a “discriminatory effect” that violates the federal Voting Rights Act, which prohibits racial discrimination in voting. The decision sent the case back to a lower court, which will decide how Texas should fix its problems – a narrow victory for opponents of the law, which stands as is for now. Gov. Greg Abbott and Attorney General Ken Paxton both vowed to continue to fight for the law, which they say protects the integrity of elections. Disclosure: Rice University and the University of Houston have been corporate sponsors of The Texas Tribune. A complete list of Tribune donors and sponsors can be viewed here.